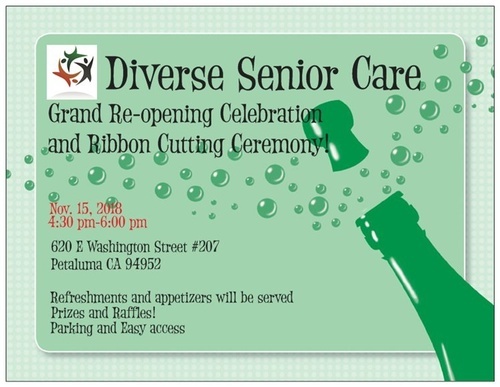 Event Description Join is in welcoming Diverse Senior Care to their new location at their grand re-opening celebration and ribbon cutting ceremony. Refreshments and appetizers will be served. Raffle prizes!